Working With Recruiters: What Is a Recruiter—Really? Recruiting is a poorly understood profession (sometimes even by those who call themselves recruiters). There are several types of recruiters, but the mechanics and psychology of recruiting are all the same. Corporate recruiters that are employed by a company for the purpose of finding and qualifying new employees for the organization. Third-party recruiters are subcontracted to by a company for the same purpose. Several different types of third-party recruiters exist, but the main difference between them lies in how they are compensated. Both third-party recruiters are paid by the hiring company, but retained recruiters typically have an exclusive contract with the company. They are paid a portion of their fee upfront with the balance paid when the search is over. Retained recruiters are typically used for executive level positions. Consultants and trainers who do interview skills training are often asked about recruiters by job seekers. These are the comments and questions heard most frequently. "Recruiters often call and ask for my resume, but then I never hear from them again." "A recruiter sent me on an interview, but I can't seem to get any feedback about how I did. They say the company is still interviewing, so I can't assess where I may have gone wrong (so that I may do a better job on my next interview)." "I have sent out dozens of resumes—sometimes hundreds—to recruiters, but I never hear from them, and can't get them to return my calls." Various reasons for the above situations exist, but many of them boil down to one issue: money. To successfully work with recruiters, you must first understand that they are not working for you, the job seeker. They work for the company. It is the company that pays their fees. It is the company they must ultimately satisfy if they are to get paid for all of their hard work. Company members want their recruitment needs to be met. After all, they are paying well to get their needs met. 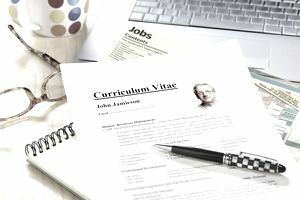 If a recruiting firm bombarded the company with resumes of people who don't qualify for the job, they would find themselves unemployed the next time the company is filling jobs. Don't take that personally. If you fit the job they are actively recruiting for, you can bet that the recruiter will do everything in his power to make sure you are successfully hired by the company. How Do You Determine the Skill Level and Experience of Your Recruiter? You can determine whether your recruiter is a seasoned professional or an amateur. An experienced recruiter will always get feedback from a company following an interview she has arranged. The recruiter won't continue to send applicants to the client company without knowing why the ones she already sent were unsuccessful. Without such critical feedback, the recruiter has no way of knowing where the recruiting efforts are falling short. The recruiter needs this feedback so she may do a better job of sending the right kinds of candidates. A sign of an amateur—or a fisherman—is the recruiter who does nothing except collect resumes, for no apparent purpose. If you are contacted by a recruiter and asked to send your resume, don't be afraid to ask questions about why he wants to see it. You need to ask the following questions. Is there a specific job you have in mind for me? Once you have my resume in hand, when can I expect to hear from you again?" Will you ever send my resume to one of your clients without my knowledge and/or consent? If you send my resume with my consent, and I participate in an interview, will I always get feedback about how the interview went in the eyes of the client? If a recruiter ever contacts you and asks for a resume before knowing anything about your professional background, don't send it. Your resume could land in places where you don't want it to land. A professional recruiter, though he is working for the client company, not you, will want to ensure that you are a good candidate. He will ask questions such as these. What are you seeking in a new employer that you don't currently have available where you are presently working? Would you consider relocation for the right job, and if so, where? (If you say you would consider relocation, they should also ask about your family situation. Does your spouse work? Do you have children still in school?) This will help them determine whether you (and your family) will be happy, and stay with the job if moving is necessary. Professional recruiters also need to give the candidates the courtesy of thorough communication, even if they aren't able to place them on a new job for one reason or another. Understanding your recruiter, and ensuring that they understand you, is the first step in successfully seeking a new job through a recruiter. What Is an Icebreaker and How Is It Used? What Are Travel Expenses That Employers Will Pay? What's The Purpose of Employee Evaluation? What Are the Advantages and Disadvantages of Business Casual Attire for Work? Want to Know What an Employee Referral Program Strives to Accomplish?